The first commercial applications in South Africa of the Sikalastic-560 roofing system, an innovative waterproofing membrane based on Sika’s Co-elastic Technology (CET), were completed on two residential roofing projects in Gauteng. Combining the high performance of polyurethane dispersion with the familiar properties of an acrylic, Co-elastic Technology offers an unsurpassed performance compared to conventional acrylic dispersion. It boasts higher elastic and crack-bridging properties, faster drying times, higher ultraviolet (UV) resistance resulting in better colour stability and durability, as well as being environmentally friendly with a very low odour and VOC free. Based on this technology, Sikalastic-560 provides an economical, eco-friendly roof waterproofing solution for both new construction and refurbishment projects while its reflective white coating enhances energy efficiency by reducing cooling costs. 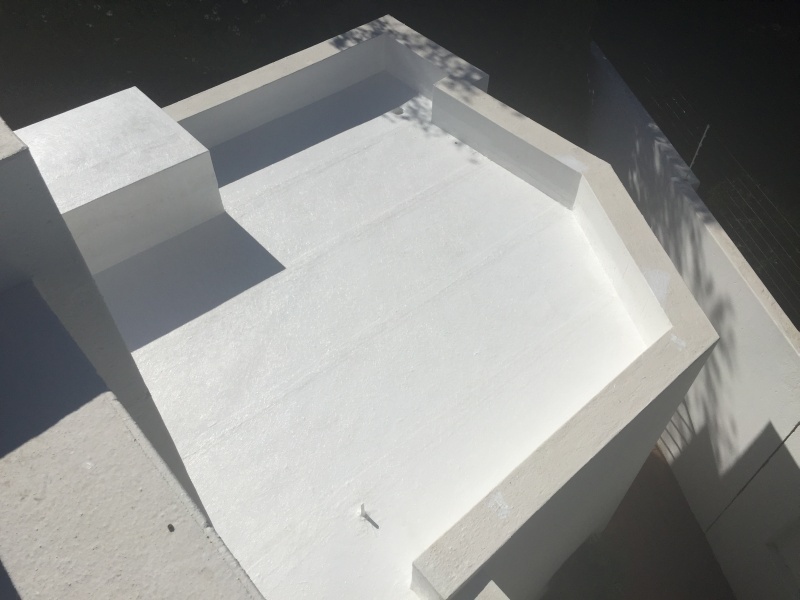 GCF Projects was contracted to seal an existing concrete flat roof at a private residence in Morning Hill, Johannesburg, using the one-component, liquid-applied waterproofing membrane, Sikalastic-560. Sikalastic-560 provides excellent adhesion on both porous and non-porous substrates as well as on bituminous products, and since it is a completely seamless, fully bonded system, the risk of leaks due to overlap failures is totally negated. Sikalastic-560 is water-vapour permeable and rain-resistant after only four hours. Soon thereafter, an existing concrete flat roof in Fourways, Johannesburg, was sealed with a combination of Sikalastic-560 and Sika Reemat, a glass-fibre mat reinforcement. Supplied in rolls, Sika Reemat is quick and easy to apply and suitable for roofs with many details and complex geometry, especially where accessibility is limited. By ensuring the correct thickness of the base coat and enhancing crack-bridging properties, Sika Reemat provides a cost-efficient lifecycle extension on failing roofs. Sikalastic-560 provides an economical, eco-friendly roof waterproofing solution while its reflective white coating enhances energy efficiency by reducing cooling costs.